If you’re a UO professor, the only path to a significant pay increase is to get an outside offer in writing and then use it to convince your dean to give you a 10% raise to stay at UO. For most of us, this requires that we lie to colleagues at other schools about how mobile we are. You have to say things like: “My department is dysfunctional. I love your work and would like to co-author with you. My colleagues aren’t bad, for deadwood. My SO just loves Missouri weather.UO’s central administration is a disaster. My kids really want to move to a new school”, etc. Mullens said he began contract discussions with university president Michael Schill last summer, with the two agreeing on terms before the 2016 football season. Oregon’s subsequent 4-8 finish and the decision to change coaches didn’t play into the contract negotiation, he said. “I’d had, what, five presidents in six years? Or five in five years if you count interims?” Mullens said. “For us, this is where we want to be. We knew that. That was the biggest piece. When he signed his previous contract extension in 2015, Mullens was working for interim president Scott Coltrane. He said his goal in the latest negotiation was to sign a contract that would keep him in Eugene until his youngest son graduates from high school. [New Strategic Communicator Jimmy] Stanton assumed the role of department spokesman from Craig Pintens, who will focus on his roles overseeing marketing and ticketing operations. “Those are his areas of expertise,” Mullens said. “He’s proven that. I felt we were doing him a disservice by spreading him too thin and asking him to take on these heavy lifts. Hart served as the coach’s personal body guard, enforced the program’s security guidelines and monitored off-field issues. Oregon’s campus security force now provides an armed guard to patrol the field during practice. “Willie said he’d rather use those resources in a different way to support our student athletes,” Mullens said. 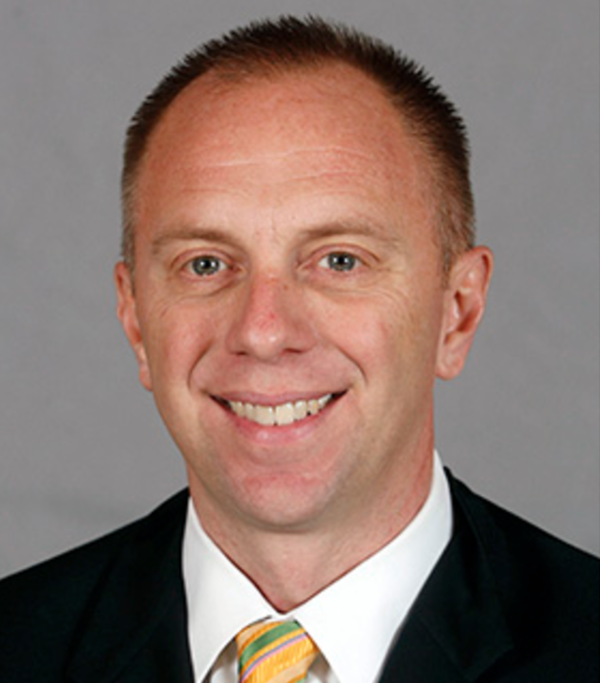 Oregon also eliminated the position of academic coordinator for football held by Tim Bruegman. Bruegman, who’d been with the department since 2005, was in charge of “providing players with educational resources and support to help student-athletes meet eligibility standards” and “collaborat(ing) with instructors to ensure members of the football team succeed athletically and academically,” according to his Oregon bio. Instead of using a liaison, Mullens said Taggart and his coaches will communicate directly with staff at the Jaqua Academic Center. “He said, ‘I’ll work directly with the Jaqua staff. I’ll be hands-on,’” Mullens said. Sure. Maybe Taggart will just teach all their classes too. Probably with a little help from Lorraine Davis, whose well-paid job as athletic fixer seems to be secure. Tagged Craig Pintens, Lorraine Davis, Rob Mullens, Tom Hart. Bookmark the permalink. Given the language the university mgt use in contract negotiations with SEIU you would think that now wouldn’t be the best time for this sort of thing.